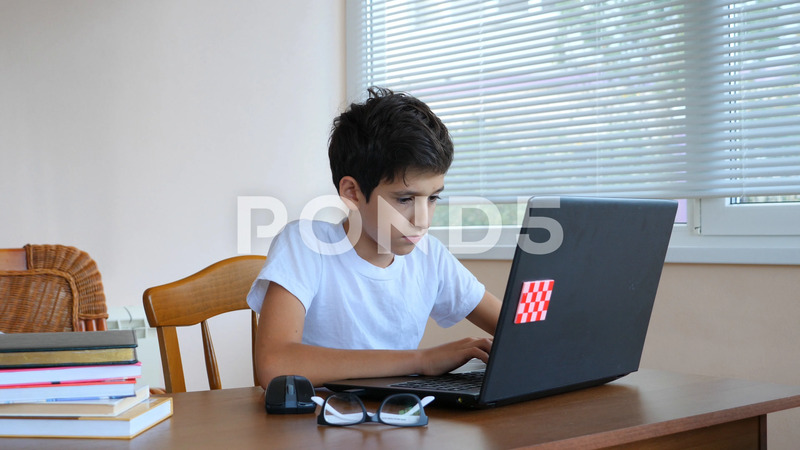 Description: boy teenager uses laptop at home. communication in social networks, training. 4k, slow-motion shooting, copy space.